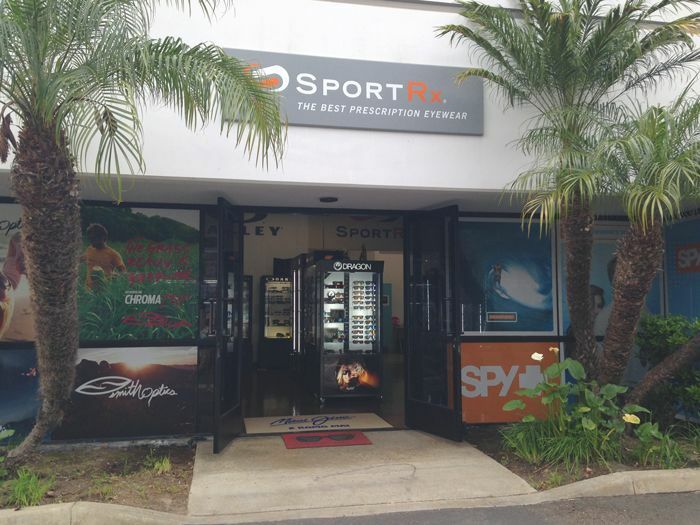 This past weekend I was invited to stop by the SportRx headquarters in Bay Ho/PB and check out their array of performance and prescription sunglasses. If I had to name one major difference in my outdoor fitness gear needs between Southern California and back home in Connecticut, it would be the importance of having a great pair of shades. The sun here is so bright and there's no escaping it under leafy trees, so lightweight polarized sunglasses are a must. Honestly, if I hadn't had been invited, I never would have known that SportRx existed. For me it's only a short drive up the 5, off the Grand Ave exit, but it's tucked away on a popular cyclist backroad, Santa Fe Street. 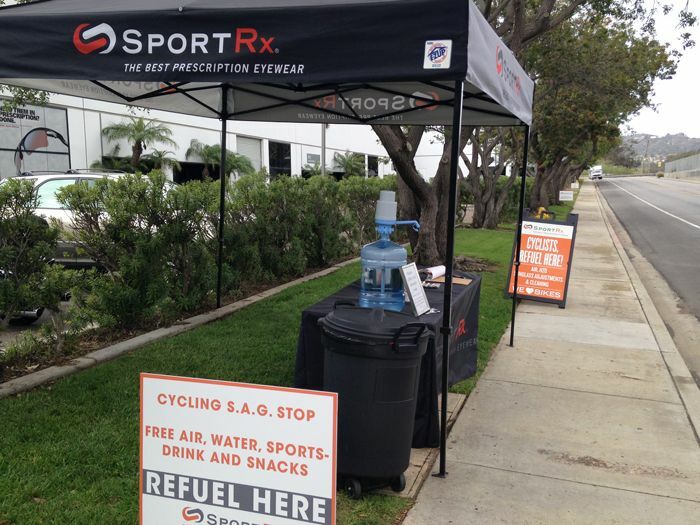 In fact, that's the first thing I noticed when I pulled up: they have a cyclist/runner refreshment station set up outside their store with water, sports drinks, and snacks. 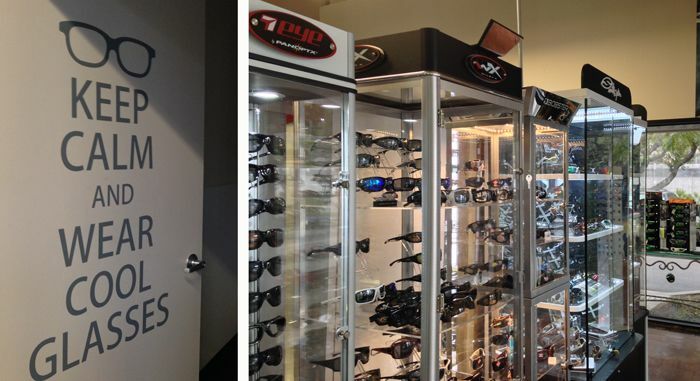 You can even pop in during your workout and have your sunglasses adjusted or cleaned. How awesomely thoughtful is that? 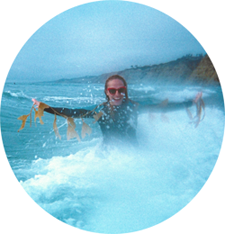 Inside, the store and back offices are situated in a bright, fun space lined with tons of cool art, not to mention a kegerator, a shuffleboard table, and a huge table made out of the most gorgeous driftwood from the SD harbor. In addition to being a retail space, it's probably one of the coolest offices I've ever been in. Their Sports Optician, Tim, gave me a tour and let me try on sunglasses to my heart's content. 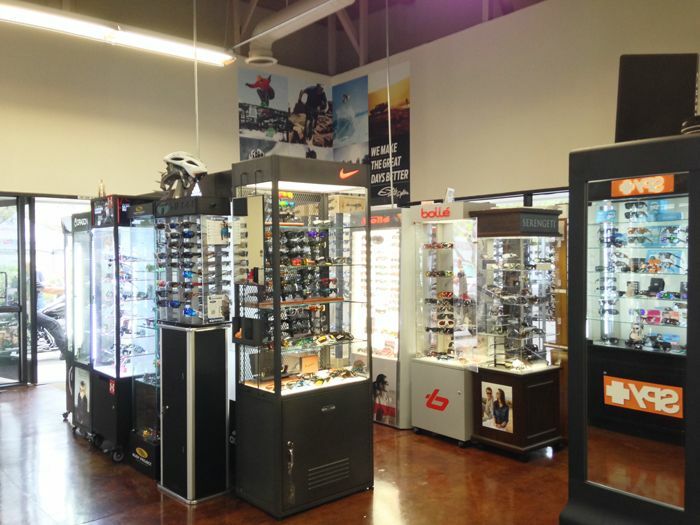 I was so overwhelmed with the selection, from well-known brands like Oakley, Ray-Ban, Spy Optics, and Maui Jim to sports specialty or lesser known brands that are up and coming. 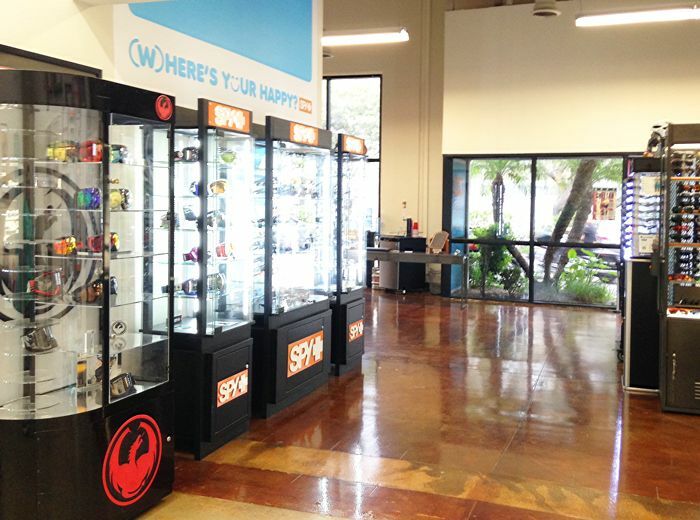 After browsing for almost an hour, I decided that there's really no reason to shop elsewhere for sunglasses in San Diego. It's a one stop shop for sunglasses, whether you're a runner, cyclist, motorcyclist, golfer, snowboarder, skier, volleyball player or just fashion conscious and looking to test drive some high quality shades. And it doesn't matter if you need prescription sport sunglasses or if you have 20/20 vision like me (have to brag while I still can, right? ), SportRx can help you with the right pair with their Prescription Analyzer tool. 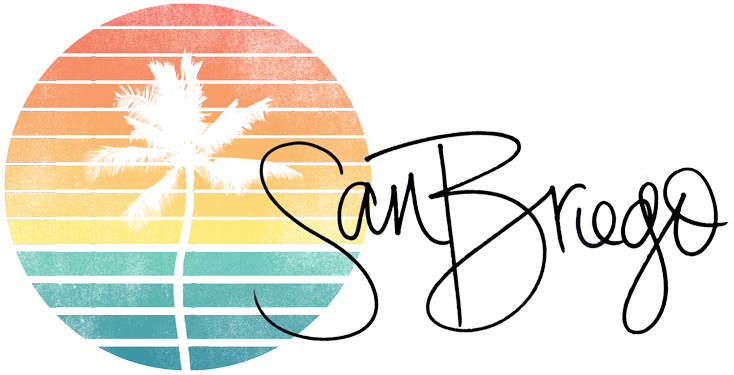 Don't worry if you're not in San Diego: they're fairly well-known as the go-to place for prescription sunglasses online! 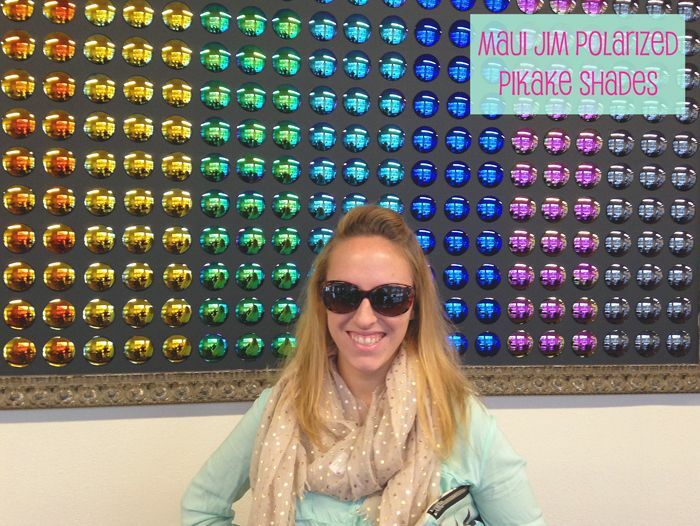 In the end, it was a tough choice, but I went with super cute Maui Jim polarized Pikake shades that will transition nicely from a hike to an afternoon out with friends. But I'll definitely be back for more... there were some adorable Smith Optics glasses that would be fun for Coachella, tons of Oakleys that I loved for running and I was intrigued by Spy Optics's Happy Lens technology. 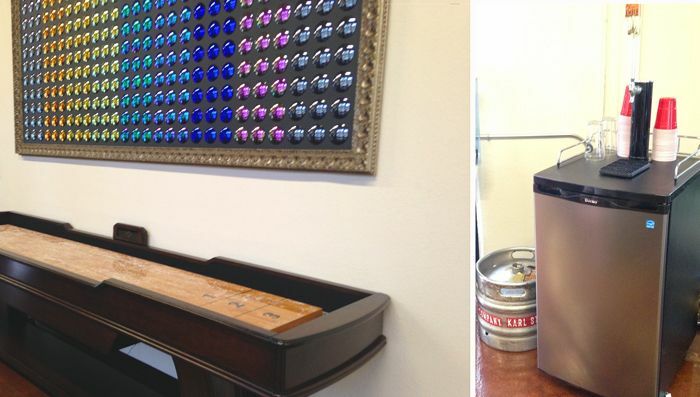 It's basically a sunglasses heaven where fashion meets fitness meets a kegerator with local craft brews on tap. What more could a San Diegan ask for?